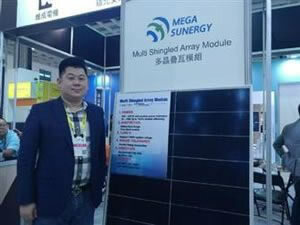 John Fitzgerald Weaver for electrek: Mega Sunergy released a new “multi shingled array module” 315W solar panel design that increases the efficiency of a standard solar panel by up to 17%. The company has changed how they lay out the 60 individual solar cells within the solar panel. Instead of perfectly spacing those 60 out – with small, defined areas between the cells – the company has allowed the solar cell’s borders to overlap each other while increasing the cell count to 68.